Does your toddler or preschooler stall bedtime with “just one more [glass of water, book, kiss, etc. ]” requests? Once you have entered the land of “just one more” it can be hard to leave, as you tend to get in deeper and deeper each time you give in. The result is later bedtimes, overtired kids, and frustrated parents. Today I want to share 6 tips for getting bedtime back on track. A daily nap serves an important role in your child’s nighttime sleep as it allows them to fall asleep in a rested state – the state that is necessary for a good night's sleep. 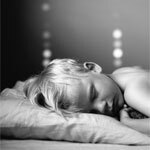 While toddlers and preschoolers need a daily nap, if your child is fighting bedtime, evaluate their daytime sleep. To be most restorative, naptime should begin at about 1pm every day, as this is the timing that corresponds with their circadian rhythm (internal body clock). As a child nears age 3, I sometimes see that it is necessary to cap their nap and wake them by 3-3:30pm to preserve an easy bedtime. Kids this age love to ask "WHY?" Use that curiosity as an opportunity to explain why sleep is so important! For example, explain that sleep allows our body to stay healthy. Compare sleep to food (our body needs healthy food to run and it also needs healthy sleep to learn and grow). Explain that sleep gives us the energy to do fun things (park, soccer, swimming, dance, gymnastics, etc.). After a few improved days of bedtime routine, plan a fun outing and explain that you are doing it because everyone is well rested. If your child likes reading, read books about sleep. Some of my favorites include, Things I Love About Bedtime, Why I Love Bedtime, and When It's Time for Bed, I Have a Plan. Rules make kids feel safe. Kids will challenge rules, but they count on us to tell them right from wrong, safe from unsafe, etc., and push rule boundaries to ensure that you are there to reassure and correct them. Set rules and boundaries around sleep. For example, create a poster that lays out bedtime routine expectations (e.g., bath, pajamas, 2 books, a sip of water, 1 song, 1 big hug, 2 kisses, sleep until morning). Have your child decorate the poster, and read the sign together each night to solidify the routine. Note that this is a rules, NOT rewards, chart. Kids shouldn't be rewarded with prizes for following everyday rules; the reward will be feeling great the next morning! A big part of “just one more” behavior stems from your toddler or preschooler wanting to exert their independence. Give them a say in the process to help them feel involved and empowered. Let them choose their jammies and which stuffed animals to sleep with. Allow them to make decisions when it comes to their own behavior. As odd as this sounds, giving them permission to exhibit behaviors that you actually don’t want (such as crying), will help these behaviors go away, simply because they have a choice in the matter. If you say, “It’s bedtime, please don’t cry,” they may cry only because you told him not to and it's their job at this age to be contrary. Instead, say “It’s bedtime. You can choose to cry or not cry but either way it is time for you to go to sleep.” Sounds odd, I know, but it works!